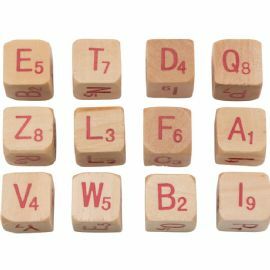 Alpha Dice: Wooden Cubes displaying letters of the alphabet. Natural with red text. Contains 12 dice.